The Indian Aerospace and Defense market is one of the most lucrative markets in the world. The Indian Government spends 40% of the defense budget on capital acquisition, and has set a target of making the Indian aviation market the third largest in the world by 2020. 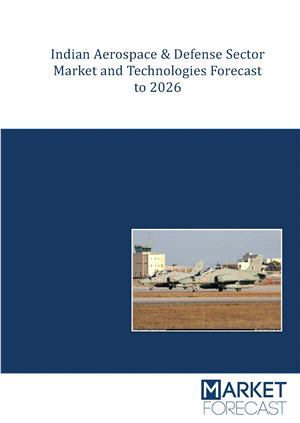 MF’s latest report titled “Indian Aerospace & Defense Sector Market and Technologies Forecast 2016-2026” provides details about the next generation of technologies needed by this burgeoning sector, as well as an insightful multi-scenario forecast, informed by extensive knowledge of the next wave of Indian aerospace & defense expenditure plans. If you have any interest in the Indian defense market, this is one report you must have. Figure 9 - Indian Aerospace Airport Infrastructure Investment Market Forecast – Scenario I vs.